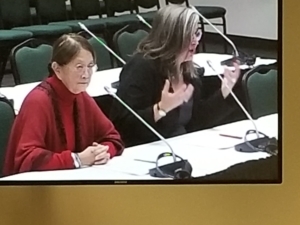 In late September 2018, Respecting Elders: Communities Against Abuse (RECAA) held their 15th annual general meeting. As can be expected at any AGM, members reviewed the year’s activities and discussed upcoming events. As with all meetings RECAA hosts, guests were invited to enjoy one of their famous potluck meals, a beautiful spread of homemade dishes. Unique to this year’s gathering was the debut screening of Madhu’s Saris, a short documentary film produced collaboratively by ACT and RECAA. The documentary tells the story of RECAA member Madhu Nambiar’s experience immigrating and building her life in Canada. As Madhu tells her personal story, she reveals a broader and very important story about representation and identity. 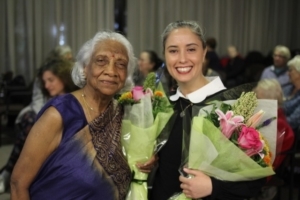 Madhu is an Indian woman who immigrated to Canada in 1967. Upon her arrival in Canada, she made the decision to continue wearing saris. Her choice to dress this way distinguished her from her peers, her colleagues, and her neighbours. In the documentary, Madhu explains that her traditional dress meant people who did not know her sometimes made judgments about her level of education, her background, and her professional experience. The documentary provides a beautiful reflection on what it means to hold onto cultural identity in a place where many assimilate—by choice or because they feel obliged. 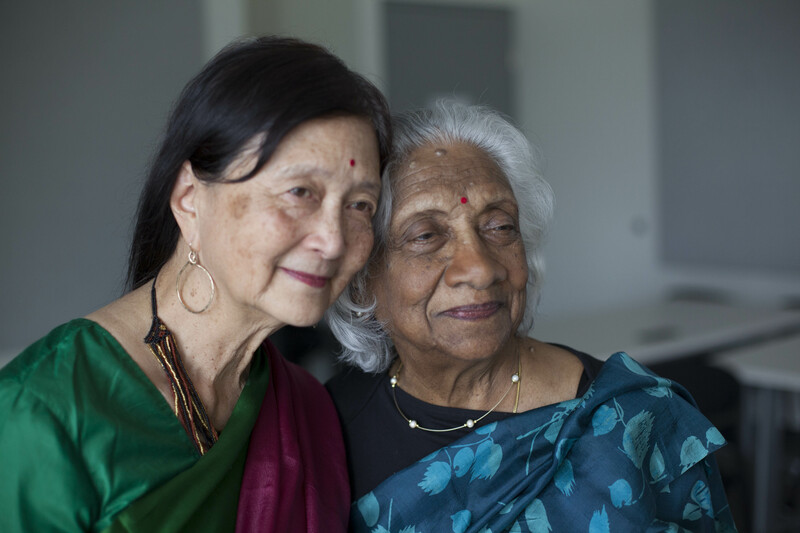 The documentary provides a beautiful reflection on what it means to hold onto cultural identity in a place where many assimilate—by choice or because they feel obliged. 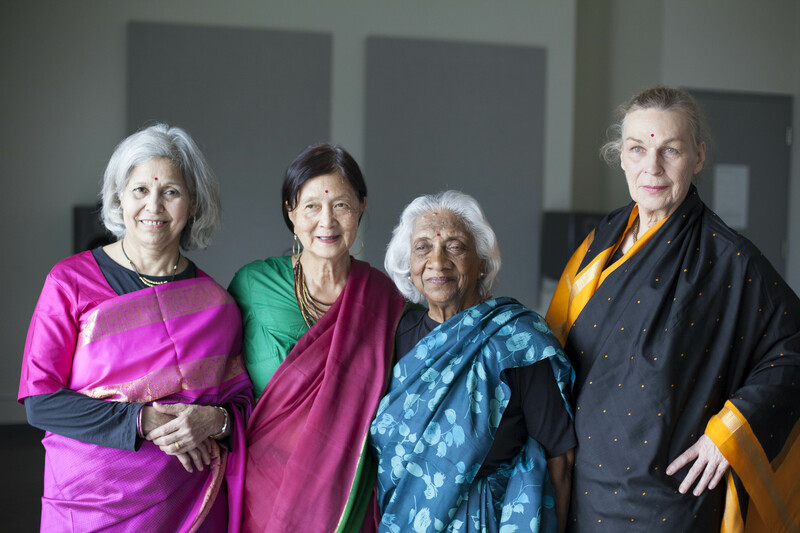 Early ideas for the project started germinating in early 2016 when Madhu Nambiar was speaking to her friend—also a RECAA member—Marguerite Kephart about what she should do with the saris she had accumulated over the decades. Through these conversations, Marguerite and Madhu discussed the options. Together, they realized that pulling clothing and objects out of storage often brings them back to life. This was certainly true for Madhu. As she tells the stories of her life through each one of the saris, she brings the sari back to life. The production, directed by Mariam Esseghaier, kicked off in February 2016. In addition to featuring Madhu’s stories and saris, it features a number of RECAA members and received production assistance from Constance Lafontaine, Kim Sawchuk, and several ACT research assistants. When the film in September 2018, many RECAA members had the opportunity to see themselves on screen for the first time. I met Madhu and Mariam (picture above) to learn about the process of making the documentary, and feel privileged to have personally encountered Madhu’s magnificent energy, love and generosity, as she greeted me in her home. In the paragraphs to follow, I describe my conversation with Madhu and Mariam about what they learned making the documentary. Andrea Tremblay (AT): Madhu, can you tell me about your experience making a documentary? Had you done anything like this before? Madhu Nambiar (MN): I had done a lot of teaching, but to be interviewed is different than standing in front of a class. I think that in the beginning I got carried away. I had so many things to share. But Mariam was excellent and she would bring me into focus. 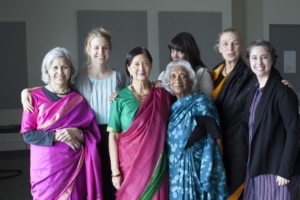 I relived so many memories; each sari brought back a certain experience and trip I had made. The saris I cherish most were selected by my husband. He was a connoisseur of art. He could walk into a shop, whether for men or for women, and he would pick something while I would be wandering around; he had such good taste. I think we are all artists in our own way, and this brought us all together. The teamwork for the making of this documentary was very impressive. It was quite an organization! A delightful group. It was like a “hand in glove” sort of a thing. AT: Despite it being her first time in a documentary, Madhu seems so comfortable in front of the camera. Did you have rehearsals? Did you work with a script? MN: They were interviews in the raw! We just went with it! Not even make-up! Mariam Esseghaier (ME): Anne Caines from RECAA and I did a pre-interview with Madhu. We talked about the stories of her life and of her saris. From there, we put together a list of questions asked by Anne during filming. Also, Anne and Madhu are such good friends that she knew when to encourage Madhu to dive deeper into subjects while we were filming. 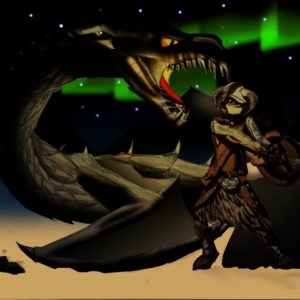 AT: What do you want this documentary to convey? MN: People often don’t see how clothes play an important role in our lives. The saris were part of my life; though wearing them sometimes led to stereotyping, or patronizing attitudes. When I was working in children’s aid or while I was in staff meetings, social workers around the table would look at me doubtfully. They were wondering, “what can she deliver?”. It would take me a little while to build a rapport with them. Before establishing a rapport with the clients, I had to establish a rapport with the staff. So, yes, we need to go beyond the stereotypes and patronizing attitudes. 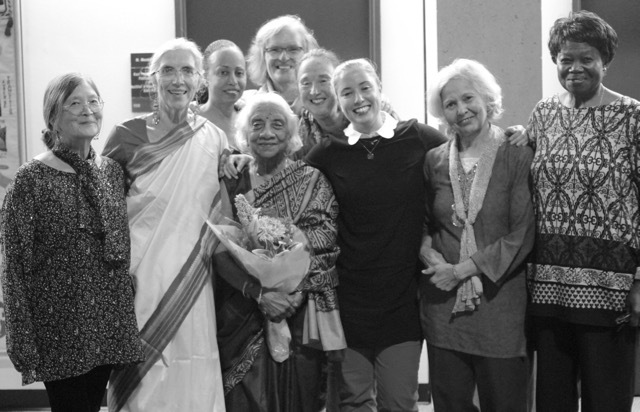 As the film ended, members of RECAA and ACT who had contributed to Madhu’s Saris stood together at the front of the room and thanked their audience. It was clear that these women were overwhelmed with joy, pride, and all of the emotions that come with a deeply personal collaboration. Particularly touching was the pride on Madhu’s face as she thanked everyone and then thanked Mariam. Not only does a project like this build connections and strengthen friendships, it reveals the ways in which older and younger generations can work together to tell important stories.